The Chinese Embassy has been pressuring New Zealand politicians to avoid meeting the Dalai Lama after he arrives in New Zealand later this week. Green Party Foreign Affairs spokesperson Keith Locke said an embassy official had approached members of the Green Party discouraging a meeting with the spiritual leader of Tibet. Mr Locke said Prime Minister Helen Clark's delay in confirming a meeting with the Dalai Lama was probably because of pressure from the Chinese embassy. He said this was “insulting” to a man of such international standing. “The Prime Minister has known for two years when the Dalai Lama would be in Wellington, and that he would like to meet her. “We can only assume the delay in confirming the meeting is due to pressure from the Chinese government,” he said. After Australian Prime Minister John Howard agreed to meet the Tibetan leader earlier this month, Chinese government spokesperson Qin Gang expressed 'strong dissatisfaction and staunch opposition to the Australian side', Mr Locke said. “Our Prime Minister has got to be at least as strong as John Howard, who is proceeding to meet the Dalai Lama, despite hostility from Beijing. “Our country can't be seen to put good economic relations with China, and a free trade deal, ahead of the human rights of the Tibetan people,” said Green Party Foreign Affairs spokesperson Keith Locke. Amnesty International reports show Tibetan monks continue to be imprisoned for observing their religion or expressing their opinions, Mr Locke said. The Dalai Lama will visit New Zealand next week, at the invitation of the Tibetan Buddhist community, giving talks in Auckland on Sunday June 17, and Wellington on Tuesday June 19. Sir Edmund Hillary will accompany the Dalai Lama to a Mayoral welcome in Auckland and will introduce His Holiness at the public address at the Vector Arena in Auckland at 2pm on Sunday June 17. The pair have been friends for years, according to the meetings organising committee. Tenzin Gyatso is the 14th Dalai Lama—the 71-year-old is the spiritual and political leader of the Tibetan people. He lives in a small cottage in Dharamsala, India, rising at 4am to meditate, then pursues an ongoing schedule of administrative meetings, private audiences and religious teachings and ceremonies. He ends each day with a further prayer before retiring. 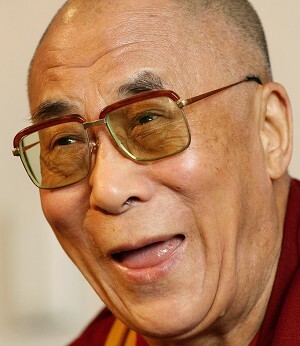 The Dalai Lamas are said to be the reincarnation of the Bodhisattva (Buddha) of Compassion. The 14th Dalai Lama, was born in a small village called Taktser in northeastern Tibet to a peasant family and, in accordance with Tibetan tradition, was recognized at the age of two as the reincarnation of his predecessor the 13th Dalai Lama. Tibetans normally refer to the Dalai Lama as Yeshe Norbu, the Wishfulfilling Gem or Kundun, The Presence. “I am just a simple Buddhist monk—no more, nor less,” Dalai Lama said. The Dalai Lama has been calling for autonomy for Tibet since the Chinese army invaded Tibet in 1950. He said in a release that more Chinese people were feeling discontent with the communist regime. “In particular, there is a growing feeling among Chinese intellectuals that material development alone is not sufficient and that there is a need to create a more meaningful society based on spiritual values,” the 14th Dalai Lama said. On November 17, 1950, the Dalai Lama was called upon to become the head of the State and Government of Tibet after more than 80,000 Chinese soldiers invaded Tibet. In 1954, he went to Beijing in attempts to negotiate peace with Mao Tse-tung and other Chinese leaders, including Chou En-lai and Deng Xiaoping. But his efforts to bring about a peaceful solution to the Sino-Tibetan conflict were thwarted by Bejing's ruthless policy in Eastern Tibet, which ignited a popular uprising and resistance. On March 10, 1959 the capital of Tibet, Lhasa, felt the largest demonstration in Tibetan history, calling on China to leave Tibet and reaffirming Tibet's independence. The Tibetan National Uprising was brutally crushed by the Chinese army. The Dalai Lama escaped to India where he was given political asylum. Some 80,000 Tibetan refugees followed him into exile. Today, there are more than 120,000 Tibetan in exile. Since 1960, the Dalai Lama has made his home in Dharamsala, India.